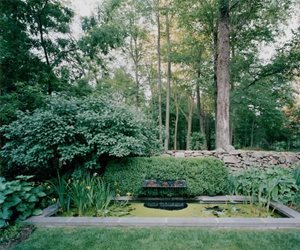 The rectangular shape of this formal pond is emphasized with cut stone edging. Rees Roberts + Partners in New York, NY. The most important aspect to consider when designing a formal pond is the shape, or outline. Formal ponds are always symmetrical, meaning that one side is a reflection of the other. Typically, straight or precisely arched lines are employed to create the outline of a formal pond. Common shapes for a formal pond include square, rectangular, circular and hexagonal. Some ponds have an outline made up of a combination of these shapes that creates an ornate, but symmetrical design. Whether a formal pond is built at ground level or raised with a retaining wall, the edges of the pond are always clearly defined. 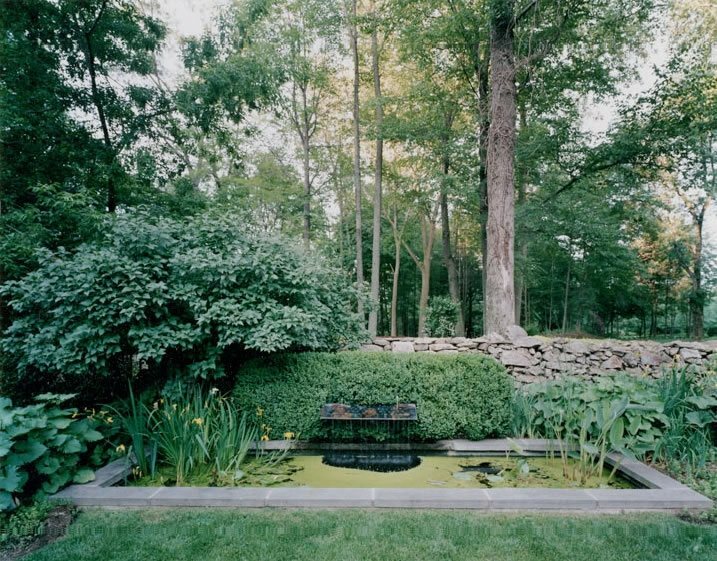 Edging is used all the way around the outside of a formal pond to emphasize its shape. Typical edging materials include brick, cut stone, tile, pavers, or poured concrete. 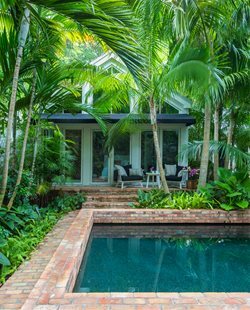 A formal pond cannot be placed just anywhere in a garden—it should be placed in a position where it will be a focal point. Common locations for a formal pond are at the end of a path, at a junction where paths meet, or centered below an architectural feature or building. Formal ponds focus heavily on the reflection that appears on the surface of the water, so consider this when deciding on a location. 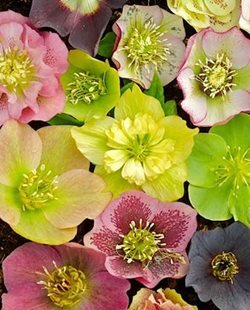 You may even want to lay a mirror down to see the reflection in various areas of your garden. Many formal ponds have fountains or statues for added interest. For accessories such as these be sure to select ones that have a formal appearance. Finally, in an effort to avoid taking away focus from the shape of the pond and the reflection in the water, formal ponds should not be overplanted. 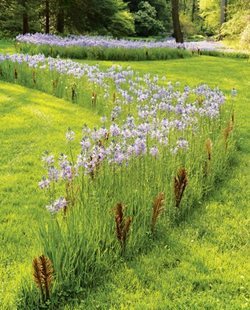 However, if you do incorporate plants into a formal pond design they must be of uniform size and shape and planted in a repeating pattern.